Are you committing a form of “child abuse”? If you are teaching your child that God’s Word in Genesis is true, then Dr. Lawrence Krauss, professor of physics and director of the Origins program at Arizona State University, believes you are indeed committing child abuse. Actually, this is not the first time this charge has been leveled against creationists. We have seen increasing attempts by atheists (like Krauss) to malign and marginalize Bible-believing Christians by making such outrageous accusations. Because these secularists cannot prove their atheistic beliefs about origins scientifically, the best tactic they can come up with is to malign Christians through emotionally charged and baseless accusations. In an interview with Big Think, a group that describes itself as “a knowledge forum featuring the ideas, lessons, stories and advice of leading experts from around the world,” Dr. Krauss explained his remarkably negative view of teaching biblical creation.1 He goes to the point of calling the teaching of biblical creation a form of “child abuse” and makes the fallacious claim that if children are not taught evolution, technological advancement will cease. Such a charge is ridiculous. This is yet another example of a university professor who just does not fully understand science, or if he does, he does not want the public to know how he is portraying science incorrectly. By attempting to connect evolution (meaning “big-bang”-molecules-to-man evolution) with “technological advancement,” he is mixing historical science (beliefs about the past) with operational (observational) science, which is what is used to develop our modern technology. In other words, for complete clarity—he is an atheist. Knowing that Krauss is “not sympathetic” to the idea that there is a Creator God, it comes as no surprise that he also opposes outright the goal of parents who wish to educate their children that God created the universe and everything in it. For Krauss, it is evolutionary ideas that play the role of “god” in the universe. We at Answers in Genesis have noted many times before how the evolutionary worldview is really a religion, for it is a set of beliefs intended to explain the world we live in and how it operates without God. Some secularists vehemently voice their opposition to our assertion, but Dr. Krauss’s statements praising evolutionary ideas make it all the more clear that evolutionary beliefs comprise a form of religion for those who hold them. By the way, if this is a world “without God or purpose,” why does Krauss even bother to spend so much time and energy attacking Christians, even travelling to the Creation Museum to stand outside its gates to protest its opening in 2007? What “purpose” is there in all that activity? In the beginning of the Big Think interview, Dr. Krauss claims, “It amazes me that people have preexisting notions that defy the evidence of reality … and one of them is the notion of creationism.” In other words, he believes that biblical creation is absurd. So he puts forth what he considers to be his superior idea. Professing to be wise, they became fools. ( Romans 1:22 ).
. . . who suppressthe truth in unrighteousness [emphasis added]. The Bible makes it clear that the enemies of God will actively suppress the truth. They will fight with all their might against what they know in their hearts to be true! If this truly were a universe without purpose, why would these atheists bother to fight like this? Why would it matter at all to them? So Dr. Krauss is rather late to the game on this one. Indeed, it seems as though he is just trying to fit in with others who have already made a name for themselves with this outlandishly false evolution-technology connection. But what exactly makes assertions like these problematic? In short, they demonstrate a general ignorance of the difference between operational (observational) science and historical science, as we stated above. Operational science is observable, testable, and falsifiable. It is the kind of science one practices when engineering buildings or bridges, or when designing computers or space shuttles. Operational science is what advances society technologically. And whether a person is a Christian or an atheist, that person can be a great scientist when using operational science. Since “big-bang”-molecules-to-man evolution is not observable, testable, or falsifiable, it is very different from operational science. Instead, the evolutionary worldview falls under the umbrella of historical science (or origins science)—ideas about the origin of the universe. Biblical creation is also historical science, but the evidence that we have available to us in the present day and is gathered through operational science actually confirms the biblical creation-based worldview and does not confirm evolutionary beliefs. Secularists like Krauss, however, want the word science applied generally to both operational and historical science, without making the distinction. This results in confusion and much misunderstanding, which we believe is a very deliberate attempt by secularists to deceive the public into falsely thinking that the belief in evolution and technology go hand in hand. Furthermore, they relegate biblical creation only to the category of “religion.” That way, Krauss and others can try to convince people that believing in creation means rejecting “science.” Ultimately, this is a massive propaganda campaign to promote the religion of atheism. Who’s Doing the Real Damage? Lawrence Krauss may falsely claim that educating children on the history presented in the Bible is a form of “child abuse,” but who is really being abusive here? The Word of God not only gives us the true history of the universe, but it also reveals the one and only hope for humanity: the gospel of Jesus Christ. Dr. Krauss is so opposed to a belief in God that he would very likely wish to see the gospel withheld from children and adults, and instead see them educated in the anti-God religion of evolution and millions of years. In exchange for hope and true life, children (and adults) would be taught they are just living a purposeless existence, believing that they are no different from the animals (and nothing but stardust). That view is much closer to any form of “child abuse” than the teaching of biblical creation. Dr. Krauss will be held to account by the Creator of the universe for his blasphemous words and his intentional misleading of generations of children. Please pray that he repents before he faces that judgment. Lawrence Krauss, “Teaching Creationism Is Child Abuse,” Big Think (YouTube), http://www.youtube.com/watch?v=UTedvV6oZjo. Lawrence Krauss, A Universe from Nothing (New York: Free Press, 2012), p. xi. “You Are All Stardust,” YouTube, http://www.youtube.com/watch?v=p2eaVfX8lrc. Bill Nye, “Creationism Is Not Appropriate for Children,” Big Think (YouTube channel), http://www.youtube.com/watch?v=gHbYJfwFgOU. For more information on Nye’s statements and the responses from Answers in Genesis and the Creation Museum, see Ken Ham, “A Week of Bill Nye the Humanist Guy,” Around the World with Ken Ham, http://blogs.answersingenesis.org/blogs/ken-ham/2012/09/01/a-week-of-bill-nye-the-humanist-guy/. Jacob Tanenbaum, “A Science Teacher Draws the Line at Creation,” Scientific American, http://www.scientificamerican.com/article.cfm?id=science-teacher-draws-line-creation. For a more detailed analysis of Tanenbaum’s claims, see Ken Ham, Georgia Purdom, and Steve Golden, “Responding to the False Claims of a Scientific American Columnist,” Answers in Genesis, http://www.answersingenesis.org/articles/2013/01/11/false-claims-scientific-american-columnist. 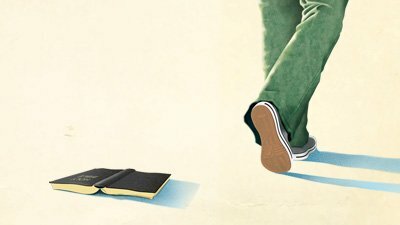 George Dvorsky, “How 19-year-old activist Zack Kopplin is making life hell for Louisiana’s creationists,” io9, http://io9.com/5976112/how-19+year+old-activist-zack-kopplin-is-making-life-hell-for-louisianas-creationists. For a more detailed explanation of Kopplin’s views, see Ken Ham and Steve Golden, “The Legacy of Brainwashing,” Answers in Genesis,http://www.answersingenesis.org/articles/2013/01/21/legacy-of-brainwashing. Stoyan Zaimov, “Richard Dawkins, Lawrence Krauss Film ‘The Unbelievers’ Trailer Debuts,” Christian Post, http://www.christianpost.com/news/richard-dawkins-lawrence-krauss-film-the-unbelievers-trailer-debuts-90038/.